I first saw this cafe being posted on instagram and it got me very excited because the waffles looked very similar to Singapore's Stranger's Reunion. 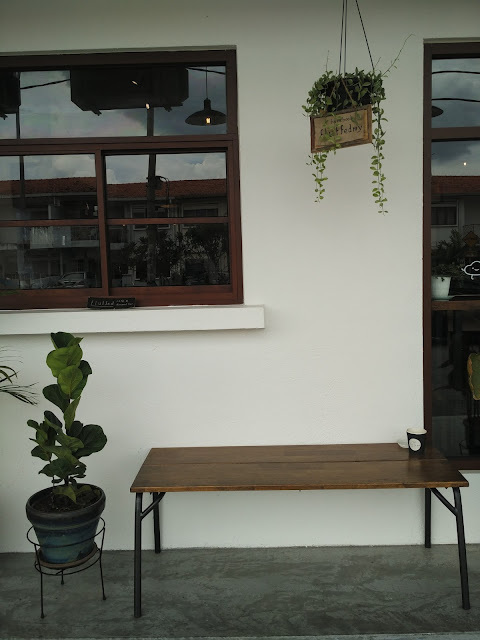 Well, we have seen quite a number of cafes serving waffles in KL but most of them served ready made waffles which are pretty meh..... 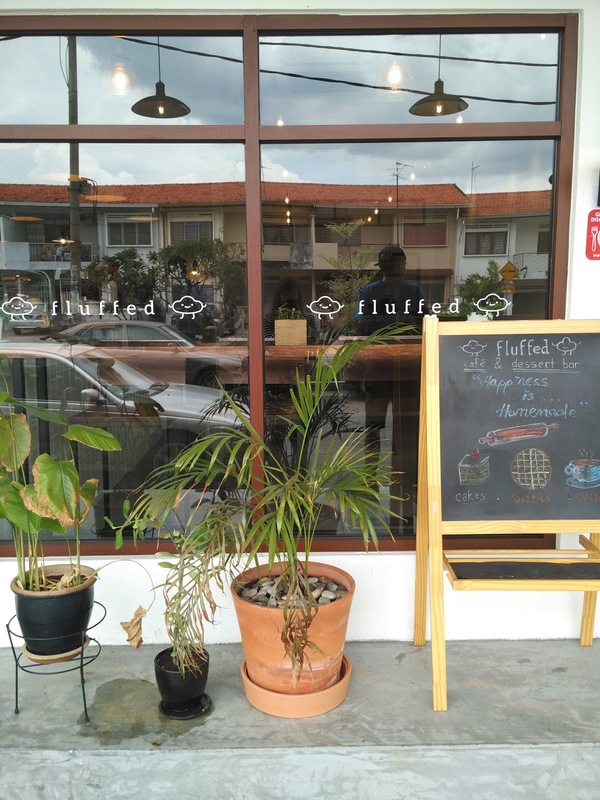 But I guess we got to count our blessings for shops like Fluffed which brings the waffle trend to the next level. On Valentine's Day, I hung out with my best friend here. Initially, we were pretty full from lunch so we thought we would just come here for coffee, but I still wanted to try out the waffles because I'm a glutton like that. Didn't take much photos of the interior of the shop but it was quite minimalistic, very white and woody themed. 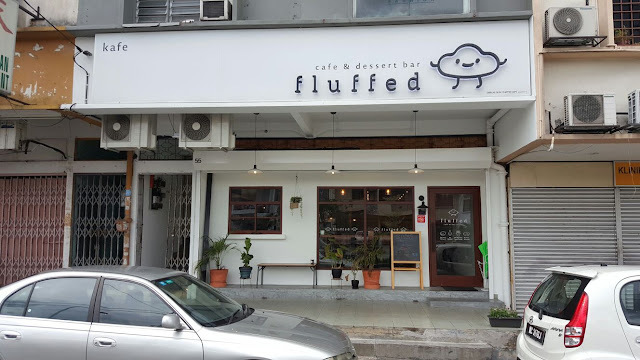 For a Sunday afternoon, Fluffed was pretty quiet which I like! You could bring a friend here and have a good catch up without having to shout at each other, or maybe bring your laptop and do some work (plugpoints are available), along side with good coffee and desserts - in particular, homemade waffles and ice cream. 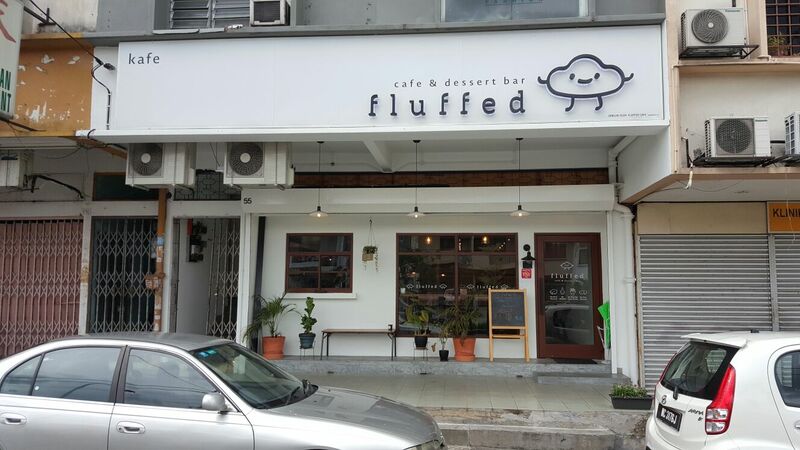 Fluffed serves coffee (they have rose latte and also chai latte too! 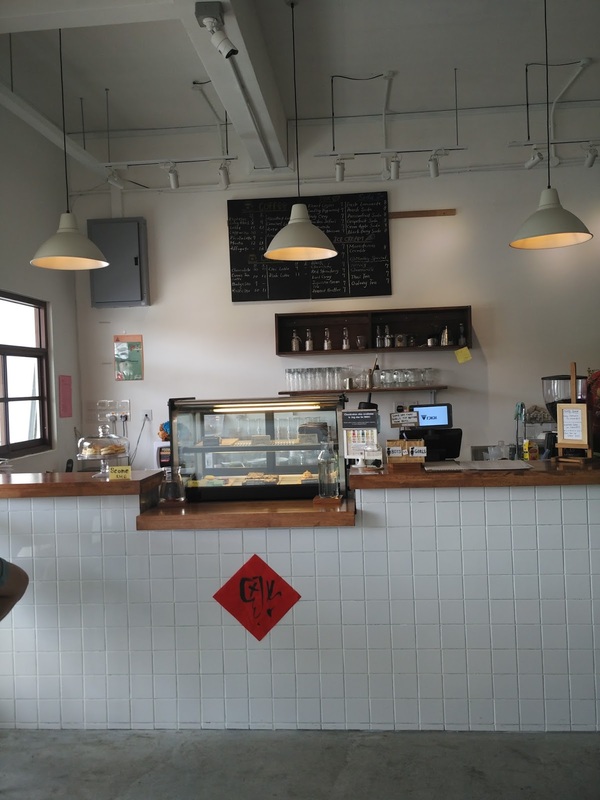 ), tea, soda, their homemade ice cream, waffles, and also cakes freshly baked by their own owner. 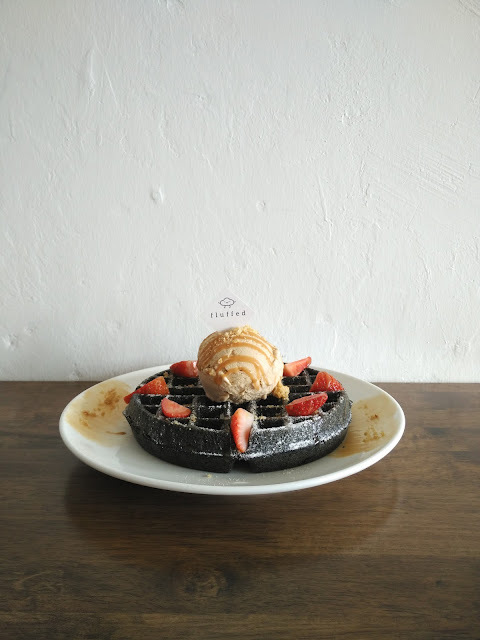 Was having a hard time deciding on which waffle to eat and in the end we picked, Big Grey Wolf (RM19) - charcoal waffle with earl grey ice cream, almond praline and strawberries! The waffles were crispy on the outside and fluffy on the inside, I would say, comparable to Inside Scoop's waffles. The ice cream was really flavourful and compact. The portion of the waffle, ice cream and the toppings are quite generous and I suggest you'd share one waffle with your friends so you won't feel too 'jelat'. The counter area of Fluffed. 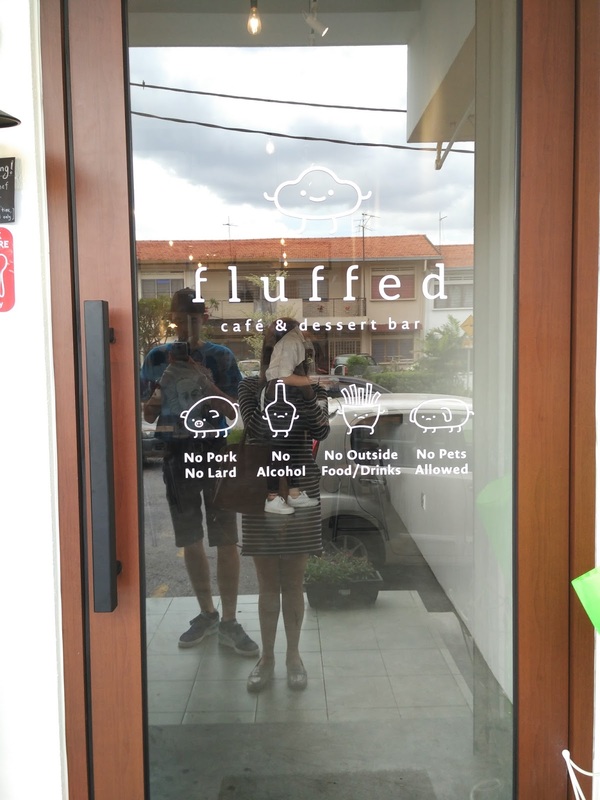 The door of Fluffled with their signature cloud icon and other cute icons shown at the door. Will definitely revisit this cafe again to try their other waffles (dying to try Pooh Bear's Favourite and also Alice in Wonderland).